Worldwide Workforce Scheduling Applications Market to reach $711 million by 2022, compared with $565 million in 2017 at a compound annual growth rate of 4.7%. In 2017, the top 10 HCM software vendors in the Workforce Scheduling application market segment accounted for nearly 57% of the global Workforce Scheduling applications market which approached nearly $565 million in license, maintenance and subscription revenues. The Workforce Scheduling Segment is part of the Workforce Management product group. Last year Kronos led the pack with a 16% market share followed by Ultimate Software, HotSchedules, Oracle and Nice Systems. Through our forecast period, the HCM applications market is expected to reach $23.5 billion by 2022, compared with $20.3 billion in 2017 at a compound annual growth rate of 3%. Through our forecast period, the Core HR applications market, which is comprised of nine subsegments, is expected to reach $14.2 billion by 2022, compared with $12.2 billion in 2017 expanding at a compound annual growth rate of 3.1%. For Top 10 vendors in each of the nine subsegments, please check their own index page by following their link below. Through our forecast period, the Talent Acquisition applications market, which is comprised of six subsegments, is expected to reach $5.7 billion by 2022, compared with $4.8 billion in 2017 expanding at a compound annual growth rate of 3.4%. For Top 10 vendors in each of the six subsegments, please check their own index page by following their link below. Through our forecast period, the Workforce Management applications market, which is comprised of six subsegments, is expected to reach $3.5 billion by 2022, compared with $2.9 billion in 2017 expanding at a compound annual growth rate of 3.6%. For Top 10 vendors in each of the six subsegments, please check their own index page by following their link below. Our HCM Top 500 research team also tracks Time Clock Hardware vendors separately by zeroing in on their embedded software as well as their extensive use of OEM and distribution partners. These top 10 software vendors are ranked by their latest annual product revenues attributable to Workforce Scheduling market segment. Check the methodology section below as well as our FAQ section on how we conduct research for these market reports. 1 Kronos Incorporated Subscribe Subscribe 9.2% Subscribe Kronos is parlaying its success in workforce management into Core HR. 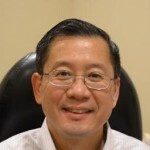 Recently, it has renewed its OEM partnership with SAP. 2 Ultimate Software Subscribe Subscribe 22.7% Subscribe Customer count topped 3,700, up from 2,800 in 2015. Plans to go private in 2019 with buyout from H&F and other PE investors. 3 HotSchedules Subscribe Subscribe 16.2% Subscribe In October 2018, HotSchedules launched two new offerings – HotSchedules Essentials and HotSchedules Plus. 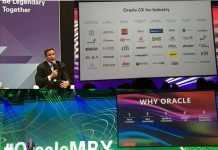 4 Oracle Subscribe Subscribe 3.8% Subscribe Oracle’s ERP and HCM applications reaches annualized SaaS revenues of $2.6 billion, up more than 25%. Oracle also acquired Iridize for personalized and contextual user onboarding and training for cloud applications. 5 Nice Systems Subscribe Subscribe 110.3% Subscribe In August 2018, NICE unveiled new Proactive Fraudster Exposure capability in its NICE Real-Time Authentication (RTA) solution that empowers contact centers to expand and augment their defense against fraud. 6 Verint Systems Inc. Subscribe Subscribe 11.6% Subscribe Verint entered Microsoft’s One Commercial Partner (OCP) program with co-sell ready status for its entire customer engagement portfolio. 7 ATOSS Subscribe Subscribe 38.0% Subscribe ATOSS succeeded in increasing sales in the first nine months of 2018 by 13 percent to EUR 45.4 million. 8 Humanity.com, Inc. Subscribe Subscribe 32.8% Subscribe In March 2018, Humanity integrated with BambooHR. The integration currently supports a one-way sync from BambooHR to Humanity, meaning that data from BambooHR will be synced to Humanity. 9 Reflexis Systems Subscribe Subscribe 22.6% Subscribe In 2017, the Reflexis platform has been selected by retailers generating total sales of more than $229 billion, with more than 300,000 employees and running more than 15,000 stores. 10 Ceridian Subscribe Subscribe 36.0% Subscribe In July 2018 Ceridian launched its cloud-based platform, Dayforce, in the UK market. Exhibit 4 shows our projections for the HCM enterprise applications market by HCM sub-segment, based on the buying preferences and the customer propensity to invest in new software within those industries as they continue to upgrade and replace many legacy industry-specific applications that have been identified and tracked in our Buyer Insight Database. Human capital management includes such functions as eRecruiting (applicant tracking), Onboarding (employee profile), Performance Management (assessment, goal management, succession planning), Core HR (personnel administration, benefits, compensation management, payroll), Workforce Management (absence management, activity tracking, scheduling, time and attendance), and eLearning (learning management system). For complete definition, please see below or visit our Taxonomy page. As sexual harassment becomes a focal point of social-media conversations, companies may have to step up their internal control measures by investing in new Big Data and social-media monitoring tools in order to respond to such complaints in real time. HR policies may have to be revamped in order to be better aligned with corporate social responsibilities, putting the interests of shareholders and public opinions ahead of any star performer. eLearning could be given a boost in 2019 as part of US government tax reform, resulting in more companies like Apple, Disney and others to invest more in education programs for employees. Succession planning becomes more important than ever to ensure smooth transitioning from one corporate reporting structure to the next. Companies, especially those that operate in multiple countries, are searching for a system of record to minimize attrition, groom talented employees, while addressing complicated compliance requirements. Digital transformation in response to new user demands, market forces. Restructuring of HR processes to accelerate for next decade. Rise of robotic process automation, artificial intelligence and machine learning poses challenges for HR executives as hiring and firing decisions may include unintended biases when screening and selecting job applicants or redundancies because of flawed metrics, algorithms and even job descriptions. Potential changes to Affordable Care Act and other key legislations could undermine HCM’s near-term growth. Shifting regulatory and compliance demands prompt stopgap measures. For eLearning vendors, expanding a content library is a challenge. The same applies to fending off the ubiquity of Youtube and Lynda from LinkedIn. The issue is whether users are better off with courseware or do-it-yourself microlearning development tools. Eroding trust in the workplace, lack of employee engagement; Bring Your Own Device trend engenders Core HR system distrust as well. The move toward continuous, ad-hoc and spontaneous feedback process will entail micro services that assimilate project management and team collaboration, requiring HR performance management apps vendors to combine personalized evaluation and unstructured communication. The challenge is to deliver tangible benefits for small work groups, while still using the same metrics to drive process improvement for the entire organization. The push to have continuous feedback and performance management could redefine corporate hierarchy as line managers and team members alike are calling for greater transparency, collaboration and better metrics to evaluate and improve one’s career path, while achieving work-life balance that adapts to the changing demographics. The bottom line is that individual performance will have to be measured as much as that of the team. Similar to any successful software development, small teams are more effective than large and matrix-reporting hierarchies. In other words, companies may be better off investing in tools that put more emphasis on team performance than what an individual can bring to the table. With the advent of telecommuting, much of the work is handled by small teams that spread around the world. The stakes are much higher to sustain a team’s performance by leveraging tools that ensure smooth handoff of project milestones and deliverables from one person to another and even from one day to the next. Communication is the key, so is accountability and trust in the system. All these would require team members to share the workload as well as the reward, recognition and team-wide compensation. Learning may well be the glue that binds together performance, compensation and competency management, delivering short tutorials and training videos on general topics and industry-specific subjects as in ViDesktop for legal and Arcoro for construction. For many learning apps vendors, expanding a content library is a challenge. The same applies to fending off the ubiquity of Youtube and Lynda from LinkedIn. All major HCM vendors including SAP, Infor and Workday have set their sight on Learning as one of their key areas of growth for 2019. The issue is whether users are better off with courseware, do-it-yourself microlearning development tools, or something perhaps more structured and extensible from HCM suite vendors. Another issue is whether the current crop of learning vendors are able to meet training requirements for new jobs like biofuels energy traders or drone operators that barely existed a few years ago. The onslaught of Google Hire for recruiting, Workplace by Facebook for org-charting and team collaboration, and the addition of LinkedIn to Microsoft’s evolving talent acquisition strategy is a mixed blessing for HCM vendors, resulting in heightened competition as well as partnerships(LinkedIn investing in Cornerstone On Demand). It raises the specter of whether the tech giants will redefine talent acquisition by leveraging their ability to influence billions of users thus expanding the market, or simply using their branding and pricing power to squeeze smaller players. The prevalence of contingent labor management, which has extended from hourly, seasonal and low-skill contract workers to experienced contractors, could retreat as HR executives grapple with issues such as job insecurity, sluggish wage growth and globalization backlash. By releasing more detailed reports on use of contingent labor management, companies could benefit from greater transparency. Contingent labor management vendors will be well served to document successful transfers of statuses from contingent labor to full time employment. Similarly, any increased demand in the use of contractors should be a harbinger of a more robust economy, resulting in a more balanced and productive workforce. Aging population, coupled with increased emphasis on work-life balance, will continue to pose challenges for employers and recruiters. Social recruiting, video interviews and innovative ways to brand a workplace have resonated with a new generation of employees as well as recruiters aiming to take their high-volume recruitment efforts to the mobile generation. Heavily modified recruiting systems entail rising costs. Employer branding may fall short of expectations on the parts of recruiters and candidates. Scaling out marketing offerings to enable employers to communicate with salaried and hourly workers across multiple platforms – text, video, chat, email – will be key to long-term success. Expansion by Recruit Holdings and CareerBuilder, which own some of the biggest job boards, could render some Talent Acquisition vendors less relevant. Any change to LinkedIn by its new owner Microsoft to rope off more resume content could have considerable ramifications for the Talent Acquisition market. Heavily modified WFM systems entail rising costs. Unbundling of work, requiring better measurement of tasks, risks as well as scheduling and time and attendance. Online retailing is having considerable impact on brick and mortar operations, which have been one of the biggest spenders of workforce management applications. Growing influence of Amazon and its Cloud infrastructure division AWS is driving a wedge between users that run AWS and those that do not, a move that could benefit AWS competitors. The structural changes to the retail marketplace is likely to redefine task management and other WFM functions as some firms are becoming fulfillment houses, rather than full-service retailers. On the buyer side, customers are investing in HCM applications based on new features and capabilities that are expected to replace their existing legacy systems. In many cases, competitive upgrades and replacements that could have a profound impact on future market-share changes will become more widespread. Since 2010, our global team of researchers have been studying the patterns of the latest HCM software purchases by customers around the world, aggregating massive amounts of data points that form the basis of our forecast assumptions and perhaps the rise and fall of certain vendors and their products on a quarterly basis. What follows is a sample of our latest findings, which are being updated continuously. Each year our research team identifies tens of thousands of these HCM customer wins and losses from public and proprietary sources. The research results are being incorporated into regular updates in our Enterprise Applications Buyer Insight Customer Database. You can access the Quarterly Win/Loss Analysis Scoreboard and our Enterprise Applications Buyer Insight Customer Database by becoming a subscriber. Similar to any of the hundreds of reports that we have published since 2010, HCM Top 500 is a labor of love. 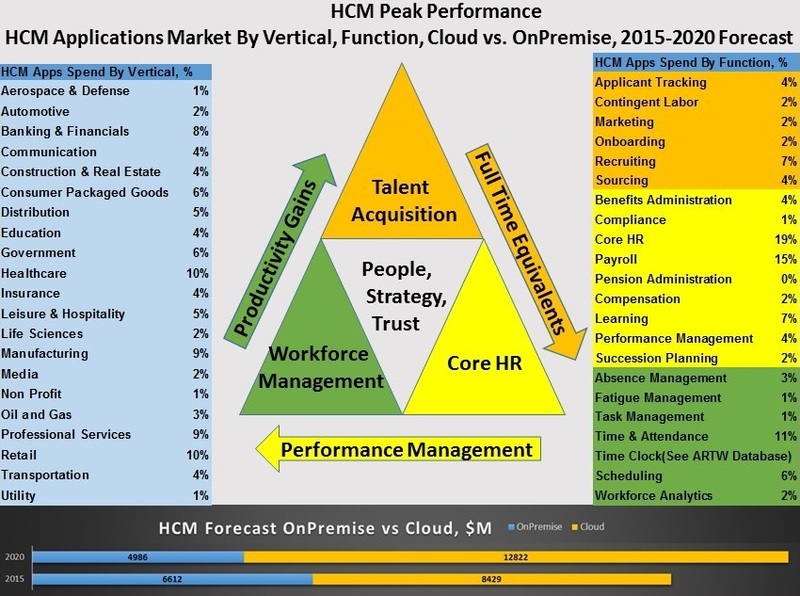 Since 2013, our team of researchers have been conducting rigorous research on thousands of HCM vendors, surveying them quarterly, reviewing their products at even shorter intervals because of the compressed Cloud release cycle, and discussing HR vision with their customers to better understand user needs as well as different paths to upgrade and replace their existing systems. Each year we also attend many industry-wide and vendor-specific user conferences – HR Tech, Dreamforce, SAPPHIRENOW, Oracle Open World, just to name a few, to gauge what customers are looking for. Throughout this process comes a rich database of more than 2,000 HCM vendors as well as over 50,000 HCM customers that have been touched one form or another through regular surveys, phone and in-person interviews, email exchanges, and social media interactions, etc. On a proactively basis, we contact the vendors directly to tabulate their latest quarterly and annual revenues by HCM segment, vertical market, revenue type, region, country and customer size. We supplement their written responses with our own primary research to determine quarterly and yearly growth rates in each of the 22 segments and 21 verticals, in addition to customer wins to ascertain whether these are net new purchases or expansions of existing implementations. Another dimension of our quantitative research process is through continuous improvement of our customer database, which stores more than one million records on the enterprise software landscape of over 100,000 organizations around the world. The database provides customer insight and contextual information on what types of HCM, enterprise software systems and other relevant technologies are they running and their propensity to invest further with their current or new suppliers as part of their overall HCM and IT transformation projects to stay competitive, fend off threats from disruptive forces, or comply with internal mandates to improve overall enterprise efficiency. The result is a combination of supply-side data and demand-generation customer insight that allows our clients to better position themselves in anticipation of the next wave that will reshape the HCM marketplace for years to come. Payroll Payroll processing, tax filing, language support, country-level updates, payslip calculations, automatic deductions and other government requirements for proper disbursement of employee compensation. Benefits Administration Benefits and health administration. Plan and design benefits lifecycle, billing and payment. Carrier solutions are also included for integration purposes. Pension Administration Pension and retirement fund(401K) administration as well as software that helps manage profit sharing plan, defined benefit plan, or cash balance plan. Performance and Goal Management HR performance management applications are designed to automate the aggregation and delivery of information pertinent to the linking of job roles and the mission and goals of the organization. More specifically, the system allows users to automate the performance review process by using mechanisms such as training and key performance indicators to continuously track and monitor the progress of an individual employee, work team, and division. Some of the key features include: Assessment of individual career objectives and organizational skills gaps that impede performance and job advancement. Continuous reviews and establishing milestones. 360-degree evaluation and real-time feedback. Performance appraisal automation. Goal setting and tracking. Employee surveys. Alignment of human assets to corporate objectives. Fast tracks for top performers. Learning and Development Learning management systems refer to applications that automate the administration, tracking, and reporting of training events. Other tools may include courseware and other delivery, management, tracking, or integrated solutions whose focus is on the learning environment, including learning content management systems. Career development tools include apps for coaching, mentoring, employee development planning, and diagnosing of development needs. Succession and Leadership Planning Identify and address current and potential talent gaps to create succession management reporting. Develop and maintain a continuous supply of internal talent to fill critical job roles. Improve employee engagement through digital tools to advance career path development opportunities. Compensation Management Compensation management applications are designed to automate the process of providing cash, noncash, variable and nonvariable compensation to employees through advanced modeling, reporting, and built-in interfacing to payroll processing systems. Other key features include seamlessly manage compensation budgets and allocation in a single, shared tool. Streamline pay recommendation workflows and approvals. Support multiple pay and incentive practices. Ensure budget compliance and adherence to compensation guidelines. Quota and territory management. Calculation and distribution of commissions, spiffs, royalties, incentives to employees, and channel and business partners. Compensation analysis using internal and external data for retention risk analysis. Linking salary, commission and incentives — cash and noncash — to business objectives. Payroll and payment engine interfaces. Account payables integration. Recruiting Recruiting applications are designed to automate the recruitment process of salaried and hourly employees through screening and skills assessment, as well as automated selection processes to improve hiring pipeline by identifying talent inside or outside the organization. Other key features include: Manage skills inventories. Create and manage job requisitions. Coordinate team collaboration within hiring processes. Video Interviewing, team building and digital coaching. Sourcing Facilitate resource planning for staffing firms as well as vendor managed system, allowing for front office integration for employment agencies as well as talent acquisition apps designed for staffing firms. Onboarding Applications designed to deploy workers to appropriate jobs, projects, or teams for accelerated on-boarding. Absence and Leave Management Absence management applications offer automated features to support employee leave management, employer authorized leave, Short-Term-Disability/Workers’ Comp coordination, federal and state compliance, customized leave correspondence, medical certification processing, insurance premium payment tracking as well as employee self-service capabilities. Leave Management supports compliance activities related to government regulations such as the Family and Medical Leave Act in the United States and other local leave laws in different countries. Workforce analytics Workforce analytics are used to analyze compensation, benefits, and other employee variables. These applications can also be used to analyze and optimize labor allocation for particular projects. Fatigue Management Fatigue Management apps help automate key facets of fatigue risk mitigation, enforcing employee work-hour limits and aligning with fitness for duty best practices. Similar apps may act as electronic work diaries for real-time reporting and compliance with transportation laws. Hardware (Time Clock) Time capture is the hardware platform that provides authentication features for clock-in and clock-out times, meal and rest breaks, as well as timesheet and payroll reporting and compliance. Task Management Task Management offers labor management capabilities such as task-based and project-based activity tracking as well as measurement and reporting functions against performance standards like engineered labor standards, team standards and reflective standards. Time & Attendance Time and Attendance applications are designed to automate employee time tracking in different locations, help reduce overtime expenses, improve payroll accuracy, eliminate pay errors and adjustments, along with the need to simplify and optimize administrative tasks and complex rate calculations by making available accurate and current labor data and full audit trail of payroll data.